Truckers across the country are taking part in a national protest against their working conditions. 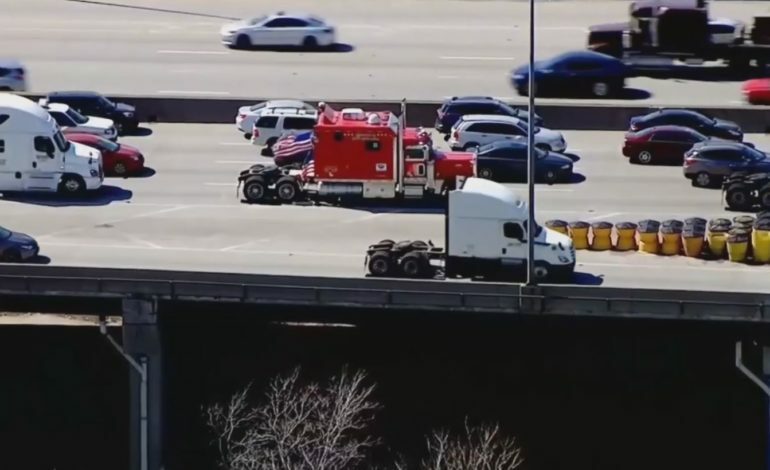 Truck drivers participated in a slow roll protest in Chicago, traveling single file in the right lane at the minimum speed limit. Truckers are calling for more flexible hours, relaxed rules on electronic logging devices, more training for new drivers, and more parking and amenities along highways. A group called, “Black Smoke Matters” organized the protest. Illinois state police say participating truckers could be held responsible, if the demonstration leads to any accidents.